Last month, one of the most incredulous stories I read was about a third grader – Tanitoluwa Adewumi. Adewumi is an 8-year-old, who arrived to New York City a year ago, after fleeing Nigeria. He just won his age group at the New York State chess championship. Adewumi’s story is one of those ones that gets highlighted in press because he has succeeded against all odds. He was undefeated at the chess championship, despite only learning chess a little over a year ago. His family is seeking asylum and was living in a homeless shelter while he attended the local public school. Because of the dynamics of the state, he was up against children with chess tutors who have many more resources and training. And yet… he won. But instead of focusing on these limitations, I want everyone to instead consider why it was that Adewumi did succeed. I want you to consider the myriad of reasons that make it not unexpected that he would take home this first place prize. First, he has two very supportive parents – apart from their tireless support of his education, his mom takes him around to practices and tournaments, and his father helps him practice on his laptop each evening. Second, Adewumi is gritty and works incredibly hard – his chess teacher claims he does 10 times more chess puzzles than typical kids his age. And third, Adewumi had a coach and mentors at his school who saw his potential, and helped him learn and master chess. They spent time nurturing his talent and honing his skills. 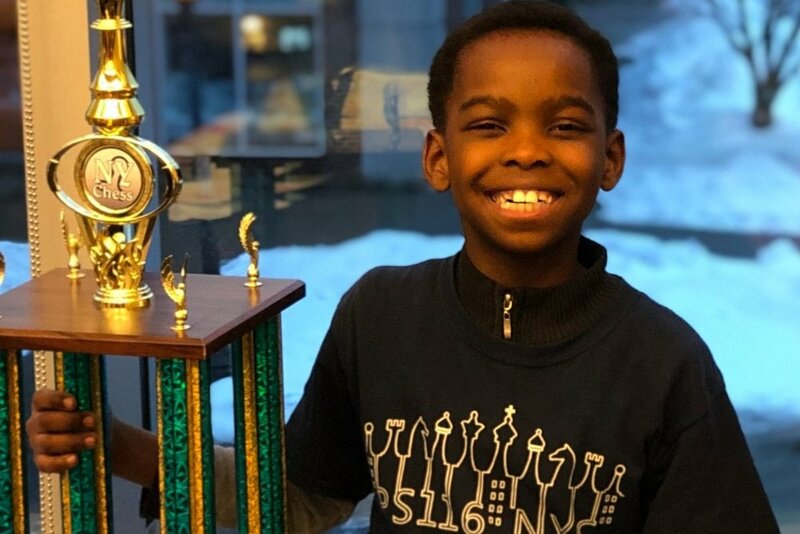 The full article is here: https://www.nytimes.com/2019/03/16/opinion/Sunday/chess-champion-8-year-old-homeless-refugee-.html. Also, there was a go fund me for Adewumi’s family and a follow-up report written on them here: https://www.nytimes.com/2019/03/23/opinion/Sunday/homeless-chess-champion-tani.html. Currently, it’s at over $250,000. The Adewumi family decided that they would donate the full amount – 10 percent to their church, who helped them when they needed it most, and the rest to a foundation to help African immigrants. Older PostWhat do Leonardo da Vinci and Water Have in Common?